From the Proms to Glastonbury, the UK’s music has always been as clearly characterised by live music as bestselling recordings and star biographies. The rich history of our musical spaces illuminates the evolution of an array of musical styles and their social contexts. We do not think this kind of dancing can do us any good. In any case, there are dangers which can result in trouble and damage to property. We have experience of what can happens when this rock ‘n’ roll takes place. But by the mid 1960s, of course, rock was firmly established throughout the country as impressarios took it into theatres and cinemas. By the end of the decade, Pink Floyd had played at the Queen Elizabeth Hall and the Rolling Stones had staged a celebrated concert in Hyde Park. From London’s Marquee to Liverpool’s Cavern, many of the venues of that era became as iconic as the acts that played them. The student union circuit became a seedbed for a generation of promoters, such as Harvey Goldsmith, and the site of legendary gigs, exemplified by The Who’s Live at Leeds in 1970. Live events, across all genres, are also central to the UK’s music economy. In 2008, revenues from live music overtook recording, becoming an ever more essential part of musicians’ livelihoods. And so there’s a greater need than ever for a range of venues, from pubs through to arenas, for fledgling acts to progress through as they grow their audience. But vital parts of this live music ecology have suffered in recent years. Grassroots venues are run on tight margins, and have been under pressure for some time from external factors such as rising costs and gentrification. Likewise, the surrounding policy context can add to the burden. Even without the outright suspicion on display over rock ‘n’ roll in the 1950s, local authorities’ licensing and development policies can militate against a healthy music scene if care isn’t taken to protect it. Between 2007 and 2015, London lost 35% of its grassroots venues. This brewing crisis prompted a response, and the Music Venue Trust, formed in 2014, worked to push the issue up the policy agenda, liaising with the Mayor of London’s office to form a Music Venue Rescue Plan and appoint a Night Mayor to champion the city’s night-time economy. The Music Venue Trust’s research shows that the number of venues in the capital in January 2017 was stable for the first time in ten years. But it takes a concerted effort, and the situation is febrile for venues up and down the country with threatened closures now a persistent refrain. The government’s review of business rates could see a rise in the level of rates they will pay of up to 55%. For some music venues, this could easily be the difference between staying operational or going under. This wouldn’t just be a loss to the economy. Local venues are a cultural as well as an economic resource. The social and musical networks they house are not easily replaced and the larger spaces, ultimately, depend on healthy grassroots for tomorrow’s headliners. The challenges are widespread, and face venues of all kinds. A squeeze on funding has seen local authorities reduce their spending on the arts, and music education also faces an uncertain future. The state of affairs, then, is finely balanced. On the one hand, live music in the UK is an immense economic and cultural asset, driving everything from tourism and civic pride to soft power. On the other, the conditions for venues and music makers call for a carefully calibrated response from policymakers to manage the ongoing tensions. This is the motivation for the Live Music Exchange team from the Universities of Edinburgh, Glasgow and Newcastle to conduct the world’s first national music census. This opened on March 9th with A snapshot census of live music across six cities – Glasgow, Newcastle, Leeds, Oxford, Southampton and Brighton that gathered observational data and information about audiences at gigs and concerts across genres and venues types, from open mic sessions in pubs, through city halls to an Olly Murs arena show. Online nationwide surveys of audiences, musicians, venues and promoters running into May will provide the broader context, along with social media analysis. The research team has consulted with a range of key music industry and charity organisations to arrive at a set of questions that captures the full spectrum of activity in a way that will be applicable to drawing up policy on a local and national scale. Live music is facing a number of challenges at the moment, from venues closing down to the threat of increased business rates. However, data about the sector has so far been relatively scarce and mostly anecdotal, and so the much needed data collected by UK Live Music Census will help us protect live music going into the future. Pulling together diverse voices from across the live music sector to provide a cohesive picture of the situation will help to safeguard the routes from pub to stadium that have enriched our national culture until now. 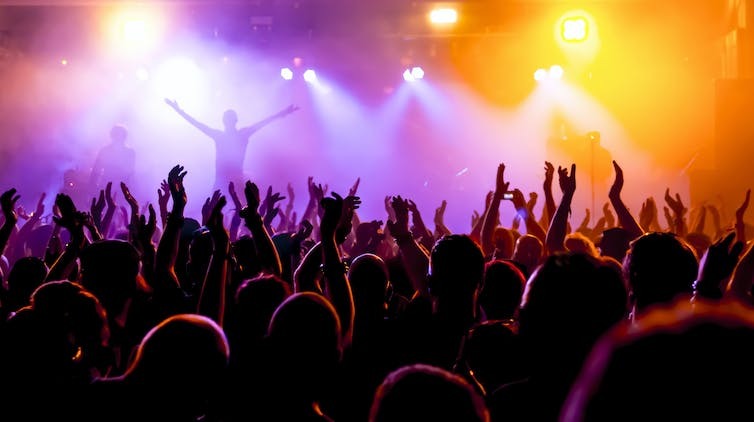 To take part in the UK Live Music Census, complete the online surveys. This entry was posted in Blog, History, Local music culture, Regulation and tagged Brighton, Glasgow, hyde park, Leeds, live music regulation, local authorities, Music Venue Trust, Musicians' Union, Newcastle, Oxford, Pink Floyd, Southampton, UK Live Music Census, UK Music by Live Music Exchange. Bookmark the permalink. The relationship between live music culture and the UK music economy is so interesting here, it’s always been obvious that since the rise of YouTube and streaming services live music was going to be the main money maker for a lot of bands. This analysis of the struggles that different venues around London have seen in this wake is especially interesting when compared to the economic role such venues can play.